In time for the biggest day on the Irish calendar, American whiskey stalwart Brown-Forman has joined with Emerald-Isle doyens the Conyngham family to launch Slane Irish Whiskey. The Conyngham family are founders of Slane Castle Irish Whiskey, led by father Henry Conyngham and son Alex. Brown-Forman acquired Slane Castle Irish Whiskey Company in 2016. Slane Castle has been in the Conyngham family since the early 1700s, located in County Meath, Ireland, approximately 30 minutes north-west of Dublin airport, in the heart of the Boyne River Valley. Slane is home to approximately 1,500 people. Beyond its place in Irish history, the Castle has become famous in more recent times as a world-renowned rock concert venue, hosting big-name acts since 1981. Slane boasts a deep connection with St Patrick’s Day. Legend has it St Patrick defied the king of Tara by defying regal command and reputedly lighting the first fire of the pagan Paschal celebration, on Slane Hill, in 433 AD. This ultimately led to defeat of the king’s Druids and paved the way to Christian conversions in Ireland. A local church still holds an annual ceremony on the Hill to commemorate the event. The families have come together to create Slane Irish Whiskey, bringing the state-of-the-art Slane Distillery, being built on the estate, adjacent to the Castle itself, in the renovated 250-year-old gothic former horse stables. The distillery will comprise both column and pot stills, and showcase the revival of the historic architecture and castle grounds. 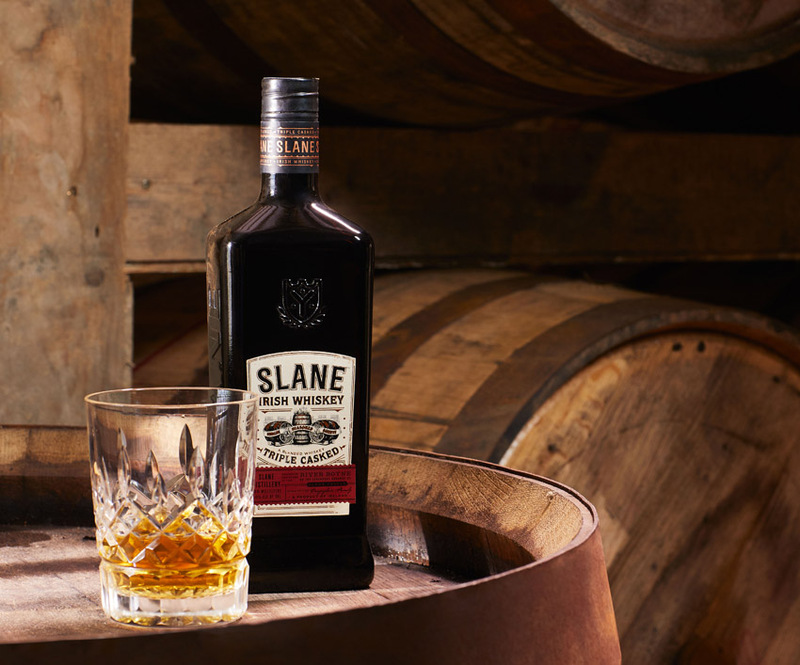 Slane Distillery chose to announce its creation in time for the global celebration, with activations in Sydney venues offering Slane Irish Whiskey specials, folk music and dancers.